Marley Binder from Cobden, Vic, shares her story about Jim who had Stringhalt …. 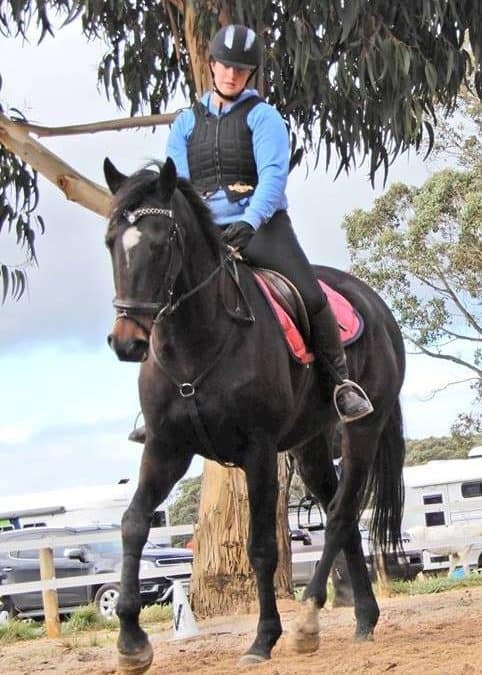 “I turned to you for help with Jim my 10 year old thoroughbred gelding to recover from stringhalt, after he was diagnosed 7 months earlier by our vet. The treatment of paddock rest was not the answer to his troubles. I had previously been shown your blog by a friend about a mare’s case study and how you had successfully treated her stringhalt. So we started Jim on a similar feeding program. However, after this hadn’t helped I contacted you personally in which you couldn’t have been more kind or understanding of this situation and immediately updated the herbal supplements and prescribed a herbal prescription to suit Jim. Both of Jim’s back legs were badly affected by the stringhalt but within a month of starting your herbal blend and supplements he progressed well with less jerky movement in both legs. Jim’s mood also seemed to change from a ball of frustration and anger back to the fun and cheeky personality he usually is. Now you would not even be able to tell Jim has had stringhalt he is working nicely and will hopefully be ready for the upcoming competition season. Jim has now been on your recommended diet for approximately 8 months and has improved in leaps and bounds. We have started jumping again and while this will be a slow and steady process for the both of us it is great to be finally back out there with him. The important point in this case history is that changing the diet alone is just not enough to remedy Stringhalt. While a customised VF Natural Diet for the horse concerned is a vital part of the program and most importantly for ongoing improvement and maintenance, it is essential that the horse receive therapeutic herbs for a full blood cycle. These are the liquid human medicinal extracts that I prescribe and dispense and which are administered orally. This way they are absorbed straight into the bloodstream via the liver’s portal vein circulation and do not have to go through the gastro-intestinal tract, which achieves superior potency and efficacy. 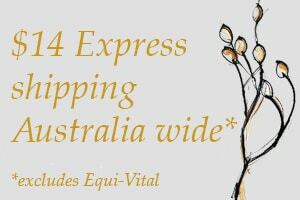 Also I use organic herbal extracts grown in Tasmania which are made into extracts within hours of harvesting. You can’t get anything closer to what a wild horse would have self medicated on!